About Our Lancaster, PA Internet Marketing Firm | Sharp Innovations, Inc.
We believe that serving our clients means surpassing their expectations and providing solutions that will increase their success. Our team of savvy professionals is comprised of management, sales/marketing, creative, programming, client support, and finance departments. Together, we provide extensive service and support which is backed by several proprietary systems that together form our 6-step project management model: The Internet Marketing Action Plan™. This unique combination of extensive experience and highly-refined processes has earned us recognition from peers and clients alike as a premier Pennsylvania website design firm. We've come to know over decades of doing business that by surrounding ourselves with myriad experts with varied skills, we as a team are able to offer a more comprehensive service. This realization has led us to evolve from a few specialists with one specific focus to a team of specialists with a broader suite of services. We've also partnered with other professional services firms at our complex who are our tenants, so that our clients can achieve all of their goals without ever leaving our building! Our philosophy of developing a meaningful and long-lasting relationship with every individual client has resulted in the continual growth and expansion of Sharp Innovations. 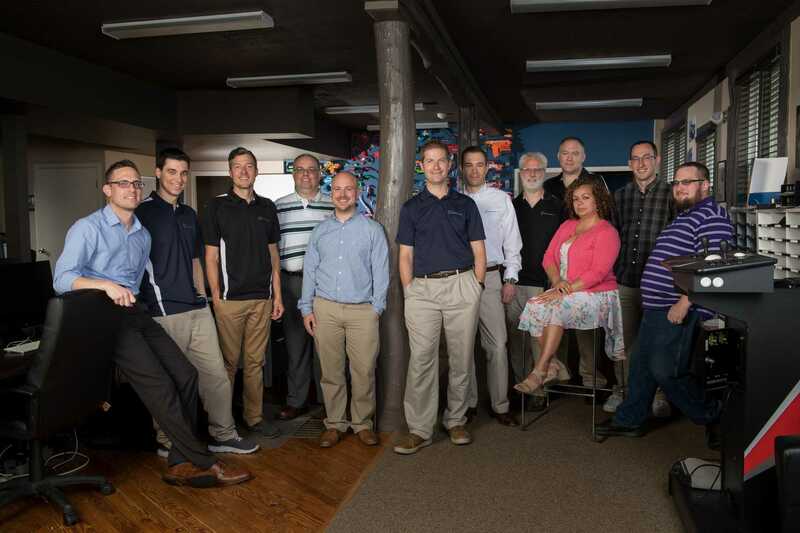 We invite you to read about how Sharp Innovations has grown to become a leader among Pennsylvania website designers and internet marketing teams. Sharp Innovations has experienced record setting revenues and profits in the most recent years of business as we entered two decades of successful business. During that time we have had the amazing privilege to faithfully steward and give away more money we ever have for the advancement of the Kingdom of God. We have also continued to acquire firms during that season and have an exciting strategic plan of growth for years into the future as we seek to offer the greatest offering we ever have to our clients. We continue to diversify our offerings with a relentless pursuit of excellence so we can all that we can truly be so we can be a blessing to our clients. We have also become GSA approved with the Federal Government and are continuing to grow our experience in that industry vertical. We are excited as we look at our 3rd decade of business! In late 2014, the management team of Sharp Innovations pursued and successfully acquired a two building property at 3113 Main Street in Conestoga, PA. An extensive, multi-year renovation process was started, and Sharp Innovations became the first new tenant. The multi-unit property, which was renamed Kingdom Crossroads, is intended to become a gathering place for businesses and tenants who share a common vision for the future. In 2013, a renewed focus was placed on our internet marketing efforts -specifically, organic search engine optimization and social media marketing-including a full update to our suite of services, and an expansion of our internet marketing team. In addition, on March 3rd, 2014, Sharp Innovations acquired "This Way Up! Marketing," a website development and internet marketing firm based in Lancaster, PA. With this procurement, Sharp Innovations added key members of the "This Way Up!" staff, increasing its ability to identify new opportunities in the market to help grow clientele business, and also enabled us to add expanded video filming and editing services to our suite of marketing capabilities. We also added an additional project manager and an application developer to our team, to further aid in our ability to provide high value, full service web development, internet marketing and related services to our broad range of clientele. 2009 through 2012 marked a renewed focus on assisting clients to achieve success in a volatile economy. By centralizing project management and removing barriers to development progress, the firm worked to reinforce its status as a premier Pennsylvania website design firm by streamlining processes and providing easier points of contact. An expansion of its support department helped to ensure fast turnaround times. While the Sharp Innovations management team continued to create strategic partnerships with companies that would aid in client success by providing services not offered by Sharp directly. From 2006 to 2008, a building management depth focus brought new skill sets and a fresh level of real-world experience to the company. The new personnel brought fresh opportunities to expand the company into related areas of marketing. This expansion into print marketing and Search Engine Optimization fields opened doors and provided opportunities for the growth of the firm and continued business growth for its highly valued clients. In 2005, Sharp Innovations made several key advancements to further increase production and service capabilities for its growth and increasingly client base. The refinement of the "From Concept to Solution™" process, as well as expanded capabilities of asp.net architecture skill sets, allowed the firm to better serve with more complex, dynamically driven Websites. The client portfolio of Sharp Innovations continued to grow throughout 2005 with successful partnerships of new key clients and improvements to existing services creating opportunities for further growth. Sharp Innovations introduced a number of technological advancements, production processes and client services in 2004. Email filtering, expanded Website content services and search engine optimization assistance services were added to serve the needs of Sharp's customers. A re-designed discovery process helped Sharp Innovations ensure that each client's vision was brought to life. While it's expanded custom maintenance programs, continued Flash development and other programming advances allowed Sharp to provide services not offered by the industry at large. The year 2003 brought new opportunities for Sharp Innovations to take on projects from publicly traded companies. While sole proprietors, community organizations and other noteworthy corporations turned to Sharp Innovations for its unmatched customer service, proven technology solutions, and energy-filled creativity. Sharp Innovations was selected as an "Editor's Pick" by Marketingtool.com as distinguished Web specialists for Pennsylvania, New Jersey, Delaware, Maryland and New York in 2003, as well as being named as "recommended Web development specialists" for the Philadelphia region on other forums such as Webdeveloperdirectory.com. In 2002, Sharp Innovations, Inc. launched a trademarked Website development process called "From Concept to Solution™." This exciting new process was generated from thousands of contacts and hundreds of client relationships, and helped to cement Sharp Innovations as a leader in internet marketing. The creative undertakings of Sharp Innovations needed reliable technological support, 2001 brought an expansion of Sharp's computer networking division. This move cemented the firm's position as a dependable, reliable and affordable small business technology solution provider. To accommodate the exploding client base, Sharp Innovations re-formed as a corporation and continued to attract and hire top-quality team members. 2000 was an astonishing year for Sharp Innovations. Joseph Sharp and Thomas Hopta worked together as strategic partners increasing the company's growth from forty clients to nearly 300. The company moved into its initial office in Lancaster, PA, expanding their employees from two to ten. Sharp Innovations attracted attention through features on television, radio and newspapers across Pennsylvania. Feature articles were published on www.Internetday.com nominating Joseph Sharp for Central PA Entrepreneur of the Year. The company growth was fueled by an excellent company work ethic, unrivaled customer service and a strong economy. 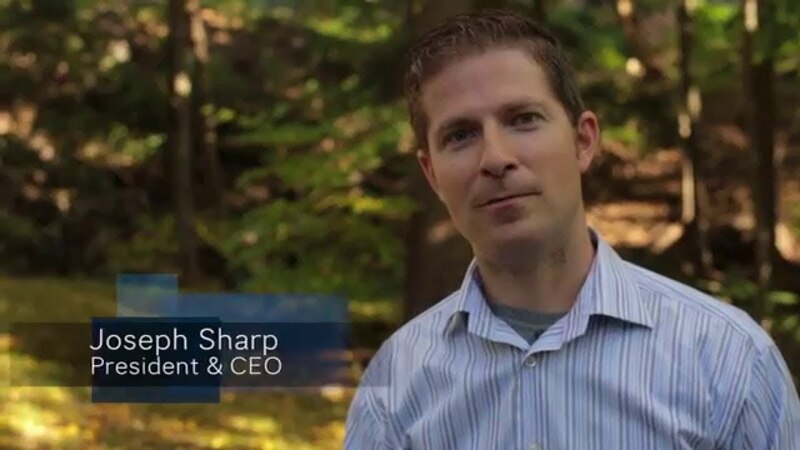 Sharp Innovations, Inc. was founded as a sole proprietorship in March of 1999 by Joseph Sharp. The firm was established as home-based businesses while the founder and his first employee, Nicholas Bird, completed their college educations. Thomas Hopta was hired in December of 1999 proving to be one of the most valuable decisions made by the young company. By the end of 1999, Sharp Innovations had created a highly-effective Web presence for forty clients in the U.S. and abroad. Sharp's original mission was to provide high quality marketing services to small companies for a reasonable price-a goal that reigns true today!